Whether it was last year or more than a decade ago, we hope your experience running the Boston Marathon was one you'll always cherish. We don't often e-mail our past participants, but we're excited to tell you about a film we know you'll want to see. TWFG Muddy Trails Bash, Rob Fleming Park (Creekside), Saturday, April 1, 2017, 3:00 - 8:00 p.m.
USA Track and Field (USATF) Sanctioned event. Chip-timed 10K and 5K trail runs, Little Muddy Kids' 1-Mile Fun Run, 2K-9 Fun Run for you and your dog. All courses wind through the beautiful trails of the George Mitchell Nature Preserve. TWFG Muddy Trails Bash is a trail race and not a mud or adventure race. Festive post-race party complete with live Zydeco band, Muddy Bowl Crawfish Cook-Off, children's activities and more! 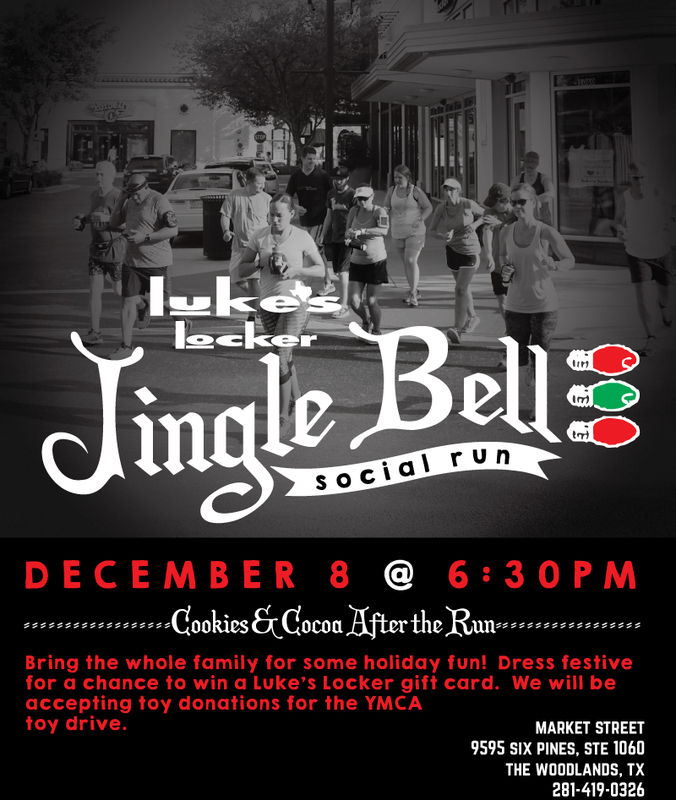 Looking for a faster (6:30-7:30 pace) group to run with? 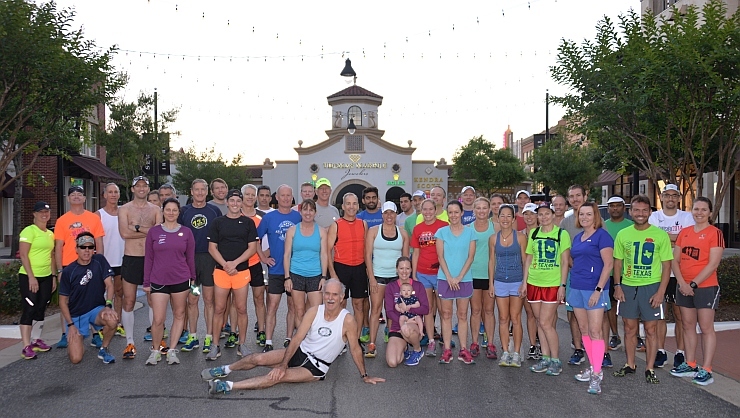 Looking for a faster (6:30-7:30 pace) group to run with in the early mornings? Please contact the Fast Run Group - Chris Weir using the TWRC website contact page for additional information. 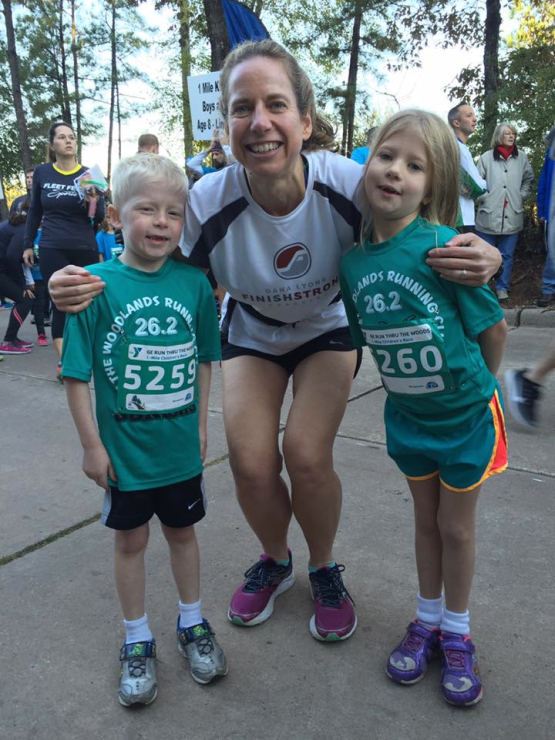 Sunday Run - Three Weeks until the Woodlands Marathon! Several years ago members of the club took a few trips down south to run Memorial park, we want to do this again before it gets hot. A trip is planned for Saturday Feb 18th. We will meet at Market Street, car pool to Memorial park (park near the tennis center) and go for a run (probably thru River Oaks) and then shower at the tennis center and then for those that are interested, lunch at St Arnold's (or?). My name is Lauren Ross and I'm the Women's Long Distance Running Chair for the Gulf Association of USATF. 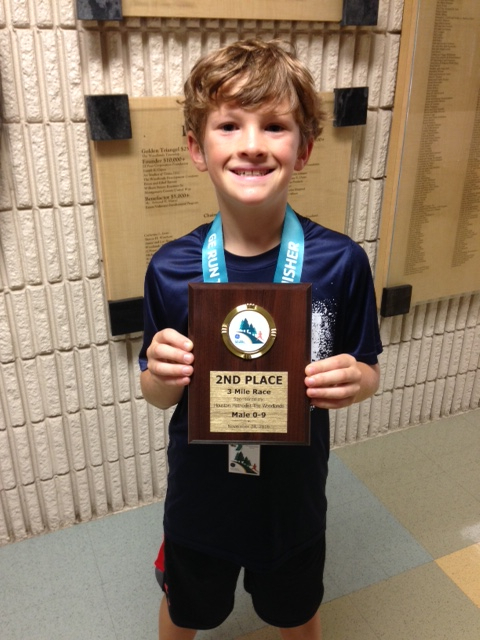 The Gulf association has a reputation for producing top youth track athletes and focusing energy on that group. Myself and two colleagues, Calum Neff and Robert Goyen, would like to expand that description to include an inclusive yet competitive circuit of post-collegiate runners as well. Happy New Year! 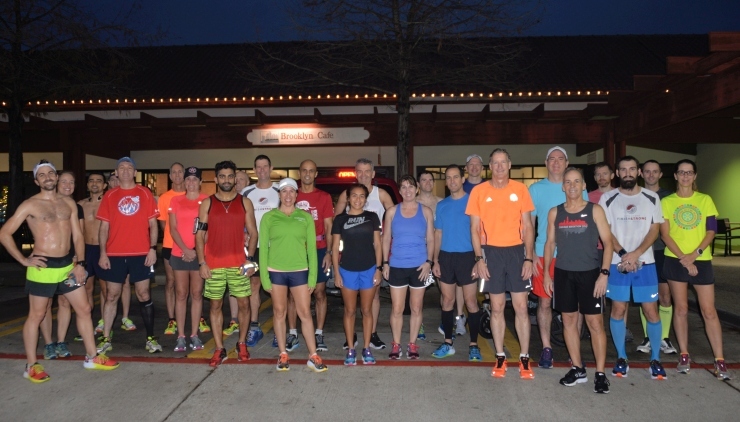 Sunday run group starts the year right! 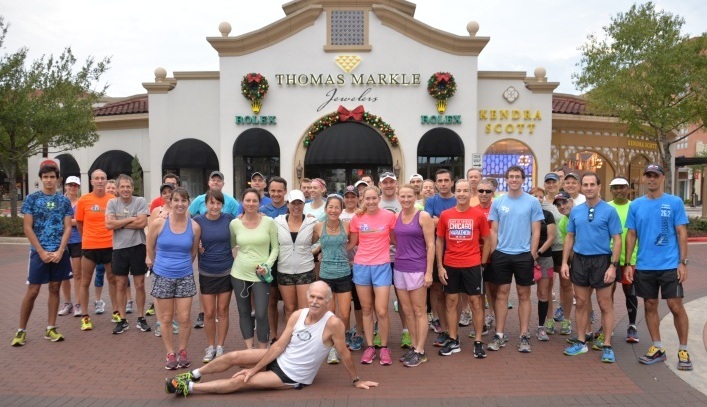 Sunday run group starts the year right! 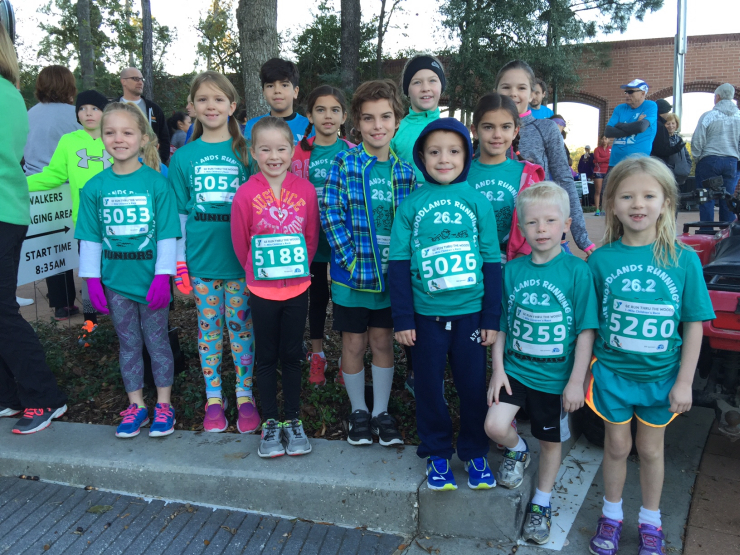 On Thanksgiving Day the Juniors participated on the 27th Annual GE Run Thru the Woods, Directed by The Woodlands Family YMCA. We had 58 runners representing the club. It was a great day for running and we saw many families running together. The kids did a great job. It was the first race for many Juniors and we are very proud of all of them. Children 6 and over just $10! T-Shirts for adults and children are included in price of registration. Channel 13 reports that Elizabeth Perez, 31, was running in Pearland on Sunday morning. She reportedly started to cross Broadway Street after a vehicle passed but was struck and killed by the vehicle's trailer. You can read the KTRK report at this link. 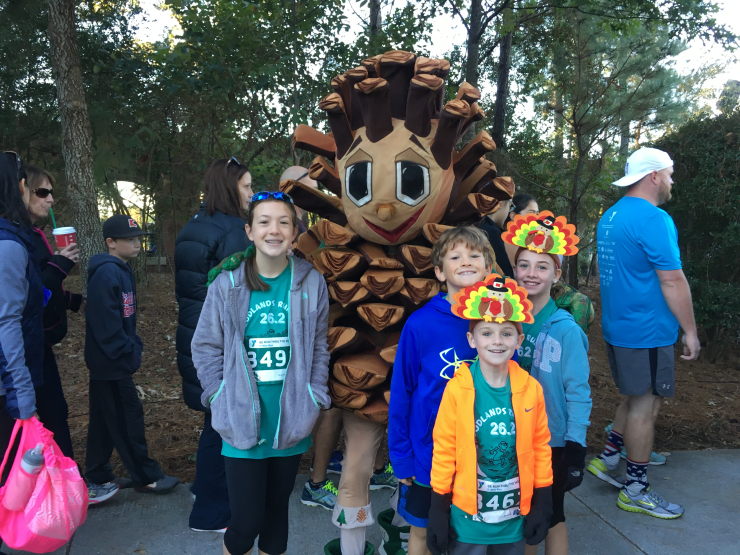 49 days, 5 hours, 38 minutes since The Woodlands Marathon.